I never get tired of visiting Bali, and I go there on a regular basis. Thank goodness for good friends who live there, as well as a growing circle of new friends the more I go there. I’m not exaggerating when I say it’s the most charming, inviting, relaxing, and photogenic of places to go on a holiday. And there are so many dimensions to its beauty. It’s the exotic melding of mystical landscapes infused with rich local culture, steeped in ancient spirituality that makes Bali so gorgeous. Different parts of the island have their own personalities – the lively beach social scene in the south, the quieter beach life in the southeast, and the exotic cultural and artistic life in the central and northern hills. And there is beauty everywhere you look! To me, the fabulous experiences that define Bali are its temples, rice terraces, volcanoes, beaches, and of course, shopping, dining and fabulous places to stay. 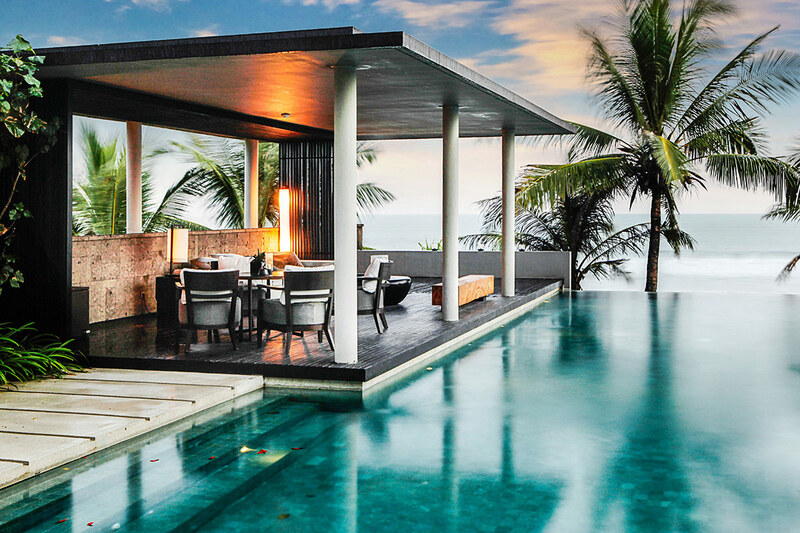 The ultimate luxury is a stay in one of the many gorgeous private villas in Bali. It’s much nicer to have a whole house to yourself instead of sharing a hotel room, not to mention trying to wake up on time to dash to the restaurant in a shambles before breakfast hours close, when you’re exhausted and want to sleep. Luxury villas here always come with a pool, lush private garden and a household staff that can cook meals and manage the house. Sometimes the cooks are trained in different types of cuisine, including Indonesian, Asian, western, vegetarian and vegan. If you have kids who are finicky eaters and have specific meal times and sleep times, it’s more convenient to cook meals for the kids in your own kitchen and have meals custom cooked for you in a more relaxed environment than eating in restaurants all the time. It makes it easier to relax on holiday with kids or a big family gathering, have fun with a group of friends travelling together, or even for a two people who like their own space and privacy. Some villas even have their own spa suites with couples’ massages beds and steam rooms, and in Bali you can get a masseuse to come to the house to give you a massage in the villa or al fresco by the pool. Some villas even have their own movie screening rooms where you can watch a movie on a big screen any time you want. What could be better than that? Did you know that while Indonesia is the world’s biggest Muslim nation, Bali practices Hinduism and most of its sacred temples are Hindu. 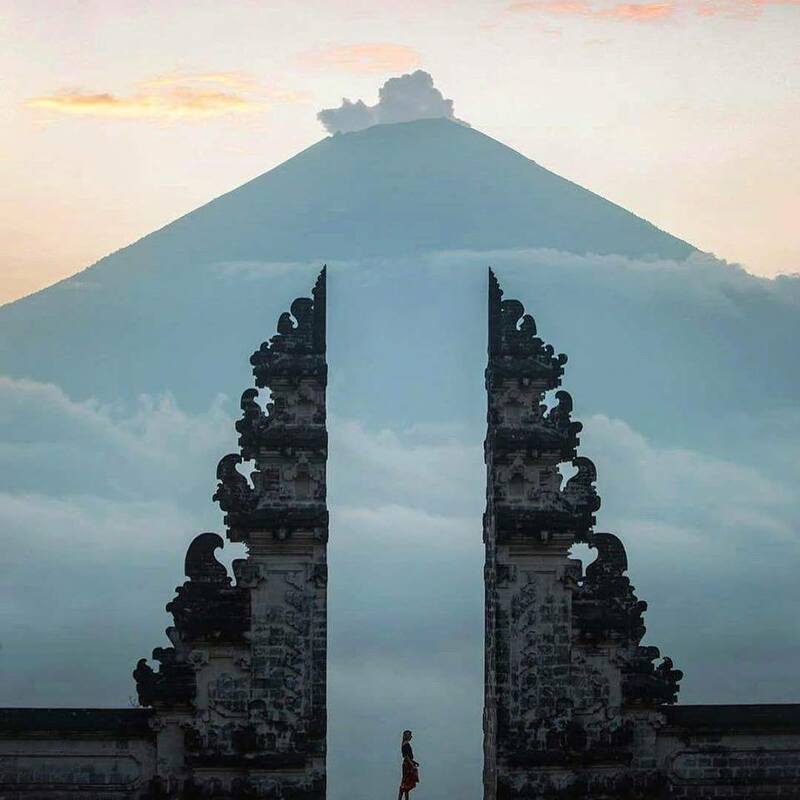 Bali’s ancient temples are usually set in breathtaking locations near misty volcanoes or on staggering seaside cliff tops that look straight out of a Hollywood movie. In fact, Hollywood set designers probably get their ideas straight from real life Balinese temples. Some of the most popular temples have become crowded tourist traps, surrounded by guides , touts, hawkers, and souvenir and trinket shops. Still, all temples are living places of worship and are sacred sites for the local people. When visiting temples, you must dress respectfully and wear a top with sleeves, a sarong and a sash. These can be rented and bought at the surrounding shops. When buying a sarong don’t buy the first one you see at the first price they ask for. Bargaining is expected and you’ll find that most of the shops sell the same merchandise, so choose carefully. Tanah Lot Temple is one of Bali’s most iconic temples. This ancient Hindu temple is perched on top of a craggy rock surrounded by dramatically crashing surf. It’s surrounded by a complex of smaller shrines, along with restaurants, shops, and a cultural park offering dance performances. It’s a place where the Balinese go to worship and visitors go to admire an unforgettable view, especially at sunset. When visiting Tanah Lot, don’t miss Batu Bolong Temple, a short distance north of Tanah Lot Temple, another of Bali’s stunning ancient seaside temples. Uluwatu Temple, located on top of a steep cliff 70 meters above sea level, is one of the six key temples of Bali’s spiritual pillars. Here you’ll find spectacular, sweeping views of the Indian Ocean, gorgeous sunsets, and be able to view the mesmerizing Balinese Kecak or “monkey dance” performances. This temple dates back to the 10th century and is also known for its monkeys, who live in a small forest in the temple grounds. The monkeys are said to guard the temple and roam freely around the complex. They’re friendly and mischievous, so hold on to your hats, bags and hide your sunglasses or anything sparkly or shiny that a curious monkey could grab. On my first visit here, one of my friends felt a small hand squeeze her shoulder and thinking it was her friend, turned around to find an adorable baby monkey sitting on her shoulder, as tame as a house pet. The little monkey calmly posed for photos and then went away when it realized we had no food for it. Besakih Temple, Bali’s ‘Mother Temple’ sits in a stunning location on the slopes of sacred, mystical Mount Agung. This is an enormous complex of over 80 temples that is over 1,000 years old. Besakih is the largest and oldest temple, surrounded by a lush landscape of gorgeous rice fields, hills, and charming villages. Besakih Temple features three main temples devoted to the Hindu deities Shiva the Destroyer, Brahma the Creator, and Vishnu, the Preserver. This is the only temple open to all castes and is the center of all ceremonies on the island. If you come here on a festival day (which is just about every other day in Bali), you’ll be treated to the grand spectacle of processions of Balinese dressed in their gorgeous sarongs bearing colourful offerings of fruits and flowers. 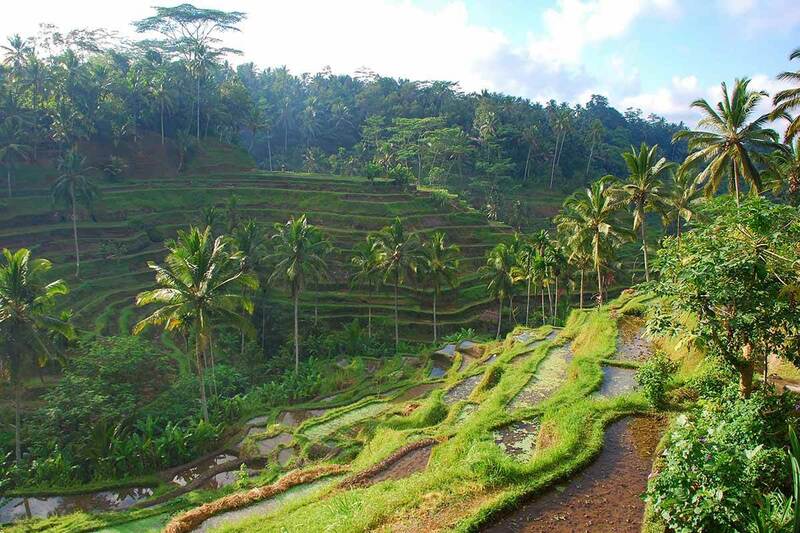 Where does one go to see Bali’s famous rice terraces? Beautiful rice fields are everywhere you look. dotted with ducks, scarecrows, flags, and farmers, though some areas are more scenic than others. 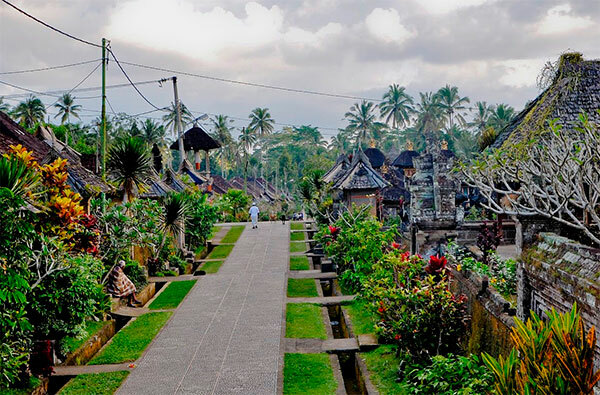 Most popular is the ancient Tegallalang district just north of Ubud, famed for its beautiful rice terraces and villages that have been here for centuries. Further afield, and less touristed, you can also drive to the scenic Tabanan district in central Bali, where life still carries it on at its idyllic pace and where you’ll drive through jaw-dropping variations of luminous green rice terraces, each more stunning than the other. Seminyak is Bali’s the high-end shopping, bar and dining scene, and the atmosphere in this beach town is more sophisticated compared to the frenzy of neighboring surf town Kuta, with its crowds of “beach cowboys” and backpackers. 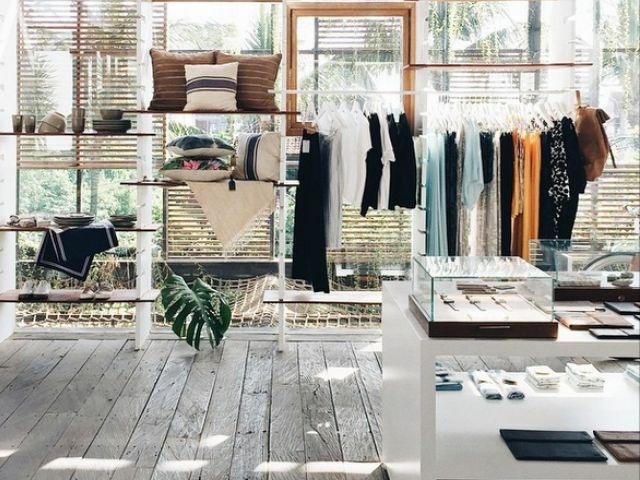 Seminyak is where you go to find chic boutiques selling cool tropical fashion and accessories, happening bars, hip restaurants, art galleries, and high end hotels. Seminyak Beach and neighboring Petitenget Beach form a strip of black sand stretching in both directions as far as the eye can see. This area is famous for spectacular sunsets, and you can chill out here with fabulous evening drinks at the various chic beachside bars. A bike tour lets you explore the island away from the touristy commercial areas and see the real Bali and its culture. The most popular bike tours are around the stunning Kintamani district, the cool hill area around Mount Batur volcano and its lovely crater lake. A majestic ancient temple on the crest of a ridge overlooks the volcano, complete with gargoyles overlooking the crater shrouded in mist. I love going to Kintamani for an Indonesian lunch of fresh lake fish at one of the scenic hillside cafes facing the volcano. Last time we did this, a rain cloud moved across the scene in front of us, and we watched in awe and delight as the volcano materialized in and out of view between wisps of misty cloud, changing the mood and colours on the lake minute by minute. Fantastic to behold! This is one of the most beautiful areas on the island. 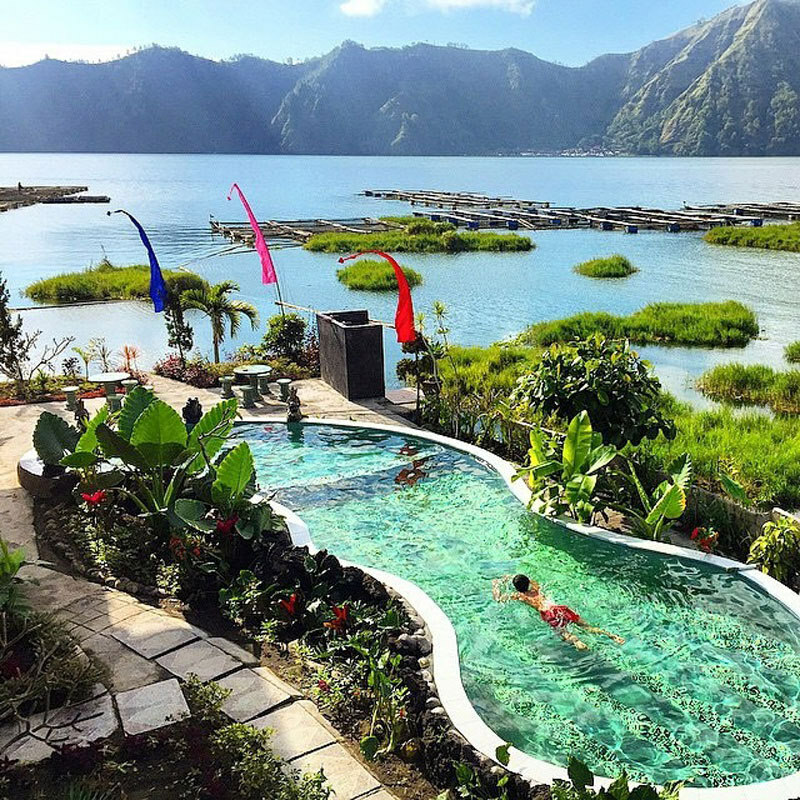 The area abounds in volcanic hot springs, with various cozy little hot spring establishments set around the side of Lake Batur. A bike tour can explore small village roads, a visit to a traditional Balinese home compound, and get an inside look into the traditional Balinese way of life. You can bike through lush forests, into local farms producing taro and bananas, stop at a spice plantation that grow Bali’s famous spices such as cloves, cinnamon and peppers, coffee and vanilla, and through fruit orchards. You can bike to charming little village temples, or stop and go for short walks among the rice paddies while rice planting and harvesting take place. The Balinese villagers are easy-going and cheerful, especially the children who greet visitors with smiles. You’ll most likely come across a village ceremony, and witness the important rituals that are part of Balinese life. Of course I’ve saved the best for last – one of my favourite experiences in Bali is am ever-so soothing massage in a Bali spa. And there are so many of them, all gorgeous. In all the bigger towns in Bali you can find small day spas anywhere you look. You can get oil massages, foot and hand massages, facials, manicures, pedicures, Indonesian body scrubs, and my favourite, hot stone massage. The offerings range from simple and very affordable, to super lavish 5-star luxury resort spas that are open to outside guests, so you can really get a spa treatment just anywhere you want. 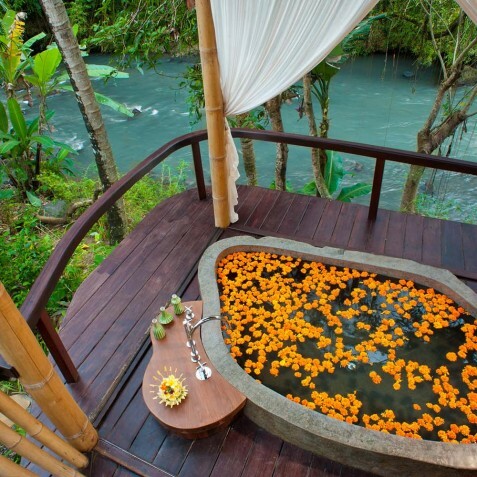 You can have a massage in outdoors in the midst of a lush rainforest, on a cliff overlooking the sea, on a riverbank next to a sacred river, and even in a treehouse or on top of a lotus pond. What’s behind the gauzy curtains? This is me peeking at the lush jungle outside at Alassari Plantation Spa. Photo credit Jill Gocher Photography. Have you been to Bali? What’s your favourite thing to do there? yes Chams nice one creating the dream! that villa in Seminyak looks nice did you stay there? oh maybe with yer mate!